From the bottom of our hearts, thank you to all who attended and supported Sirens in 2017. Whether you followed our conversations on Twitter, attended for the first time, or have been with us since the beginning, we are thrilled to have each of you as a part of our community—a community of brilliant, passionate, and increasingly inclusive readers. Thank you for bringing your opinions, experiences, expertise, and reading recommendations. For submitting programming, donating your time, funds, or skills to our Sirens programs and auction, for buying loads and loads of books, and if you were a new attendee this year, for taking a chance on us. 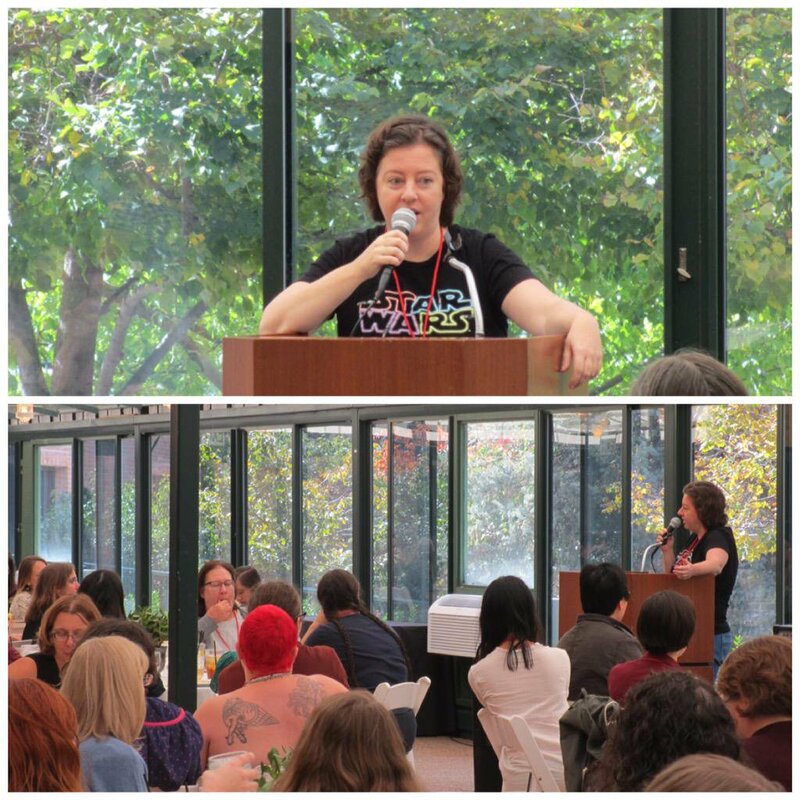 A special thank you to our three formidable 2017 guests of honor: Zoraida Córdova, N. K. Jemisin, and Victoria Schwab. You are proof that women do, and always have, worked magic. Our new Sirens website is live and open to the public! To learn more about our 2018 theme of reunion and our exploration of our past four themes: hauntings, rebels and revolutionaries, lovers, and women who work magic, please visit: sirensconference.org. 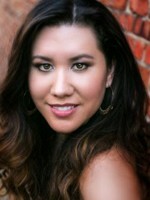 Zen Cho, Kameron Hurley, Anna-Marie McLemore, and a soon-to-be-announced fourth guest will join us as our guests of honor. Our tremendous Sirens Studio faculty include Rhoda Belleza, K. Tempest Bradford, Dr. Kinitra Brooks, Zoraida Córdova, Dr. Andrea Horbinski, Justina Ireland, Anne Ursu, and a fourth reading intensive instructor to be announced soon. The Sirens Shuttle will run from Denver International Airport on Monday evening, October 22 prior to the Sirens Studio as well as on the afternoons of October 24 and October 25. All shuttle-riders will depart Beaver Creek on Sunday, October 28. In 2018, for the first time, both one-way and round-trip shuttle tickets are available. Registration is currently $225 and will remain at that price until February 28. We hope to see you next October! Our 2018 Suggested Reading is now on the website, and so is our much-loved Reading Challenge! If you missed Amy’s Book Club and Read Along with Faye last month, worry not—they’ll be back in January for a new year of reviews and commentary. Between now and the end of the year, the Sirens staff will be quieter than usual as we rebuild and prepare for 2018. Feel free to stay up to date on all our news through our website, our Twitter, our Facebook, and our newsletter. 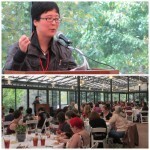 In 2009, in its inaugural year, Sirens welcomed its first attendees in Vail: nearly 100 people joined us to discuss and debate the diverse, remarkable women of fantasy literature, with a special focus on female warriors. High on a mountaintop, Tamora Pierce delivered the very first Sirens keynote address, sharing with attendees—well into the night—her very personal journey through fantasy literature. 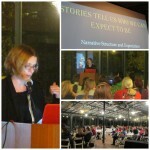 In 2016, in its eighth year, Sirens welcomed its highest number of registrations ever: just over 100 people joined us in Denver to again discuss and debate the diverse, remarkable women of fantasy literature, this time paying particular attention to lovers and the idea that whom you choose to love—or not love—changes you and can help you change the world. In the years in between, we have examined faeries and monsters, hauntings and rebels. We’ve had our first reunion, and welcomed hundreds of different people to Sirens, some only once and some many times. Our community, though sometimes small, is breathtakingly mighty. In 2017, nearly 150 people have already registered for Sirens! We are amazed. We are thrilled. We are, as you might expect, somewhat shocked. Given this unprecedented growth, we must impose a registration cap on Sirens this year. 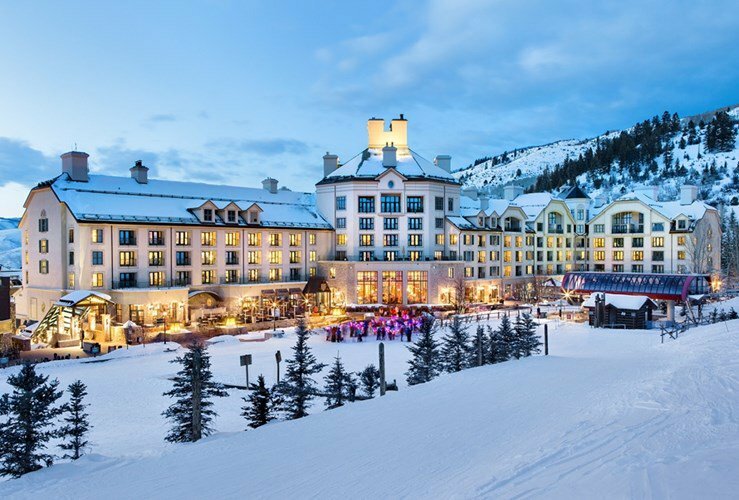 We have carefully examined our available space in Vail, and we can accommodate only 190 registrations. As of today, only 21 registrations remain available for Sirens in 2017. This number does not include registrations set aside for scholarship recipients and potential presenters. We are currently offering these 21 registrations on a first-come, first-served basis. Sirens is currently holding a registration for every person who proposed programming to Sirens this year. We will hold these registrations for these potential presenters, regardless of whether the vetting board accepts their proposals, until the July 9 presenter registration deadline. On July 10, if any presenters have not registered, we will make those remaining registrations available to others on a first-come, first-served basis. 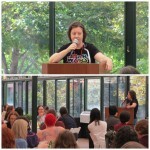 Sirens has already awarded its Con or Bust and financial hardship scholarships; these awards will not affect the number of registrations available. The scholarships for exemplary programming proposals will be awarded in June and, as we are already holding registrations for presenters, these awards will not affect the number of registrations available. If we find that we have additional registrations available, we will make an announcement on this blog, on our Twitter, and on our Facebook page. Please also watch our Twitter for announcements of any individuals seeking to sell their registrations. Our Sirens Supper is sold out for 2017. We have only two Sirens Studio tickets remaining, so if you are interested in attending the Studio, we encourage you to register as soon as possible. We continue to sell Sirens Shuttle tickets and do not yet anticipate any availability issues, but we will let you know if that changes. If you have any questions or concerns, please contact us at (help at sirensconference.org). Thank you so much to everyone who has ever attended a Sirens—or who is registered this year for the first time—for helping build this brilliant community! This year, because of the generosity of the Sirens community, we are pleased to offer scholarships in three categories: via Con or Bust, for programming proposal merit, and for people with financial hardships. Each scholarship includes both a Sirens registration and a Sirens Shuttle ticket. Con or Bust is coordinating the first set of scholarships (and two were claimed at the time of this writing), and to be eligible for a programming merit scholarships, presenters opted in during the submissions process. Sirens is taking financial hardships scholarships applications until June 15, 2015. If you need assistance, we hope you’ll consider applying for a scholarship. Notices regarding programming proposals will be sent no later than June 8, 2015 (and you should expect them close to or on that date, rather than sooner). Please note, however, that if we’re still tracking down your co-presenters, a decision may be delayed. Thank you in advance for making sure that all proposal collaborators have checked in! We’ll be sending programming scholarships decisions with the decisions on proposals. The vetting board and the scholarships committee both thank you for your participation, and are giving thoughtful consideration to your proposals. The last day to register for Sirens for $195 is July 7; the price increases to $205 on July 8. July 7 is also the deadline to register for presenters; if you’re a presenter and need an extra day or two to register and pay, be sure to coordinate with (programming at sirensconference.org) so that your accepted presentation is not dropped from the schedule. 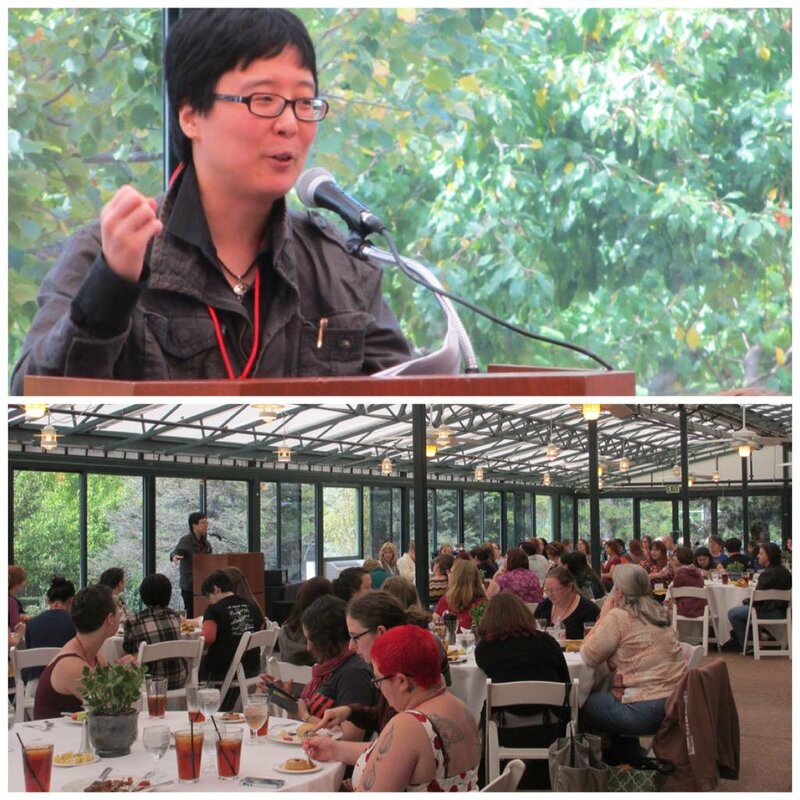 For the first time, Sirens is delighted to offer a pre-conference option for readers, writers, scholars, and professionals! The Sirens Studio will start Tuesday morning and feature two days of workshop intensives, discussion, networking opportunities, and flexible time for you to use however you wish. 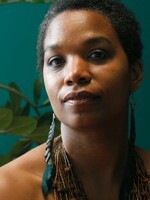 Check out the schedule, workshops, and faculty here. If you’ll be in Denver on the evening of October 7, 2015, perhaps you’d like to join us for the Sirens Supper. Each year, our conference staff hosts a dinner for a limited number of attendees and friends, where we get to know each other before Sirens starts, and you’re welcome to come. The menu: petite greens with jicama, orange segments, cilantro-lime dressing and cornbread croutons; local corn and roasted poblano chili chowder; a medley of fresh, seasonal vegetables; black bean rice pilaf; fresh baked rolls and butter; baked salmon with Yucatan spices and coconut; cane sugar-rubbed roasted pork loin with Creole mustard sauce; quinoa-stuffed eggplant with roasted pepper marinara; margarita cheesecake; fruit empanadas; and coffee and hot tea. Tickets are $60, and those who also register for the Sirens Studio get $10 off the dinner price. Ground transportation in Denver is expensive, and Denver’s public transportation isn’t what it could be. In addition, the Inverness Hotel, the location for Sirens, is out of the way. Sirens offers discounted group transportation so that you can ride to and from Denver International Airport. We’ll pick you up and return you to the airport for $60, less than other vendors want for a one-way trip. You can add tickets for yourself or friends on a new registration or to an existing registration. Get more information and the Sirens Shuttle schedule here. Come read with us! Sirens co-founder Amy leads the Sirens Book Club each month. 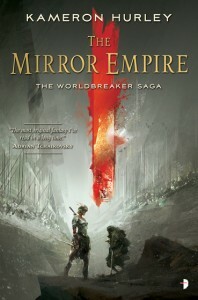 June’s book is The Mirror Empire (Worldbreaker Saga #1) by Kameron Hurley. Join the discussion here on Goodreads, starting on Saturday, June 6. This month, we’re changing how we tell you about recent releases. In July’s newsletter, we’ll give you the June roundup. We love to hear about new books, whether yours or those you’re anticipating; please send the details to (help at sirensconference.org). We’d love a few more volunteers to supply us with short reviews of works they have read and loved. If you think you could contribute a book review of at least 250 words sometime during the next year, we would be pleased to have your recommendation for the Sirens newsletter. 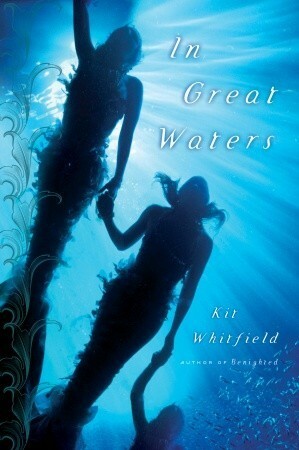 This month, 2009 Sirens Guest of Honor Sherwood Smith offers us a look at two recent releases. Some twenty, twenty-five years ago, I recollect a lot of scorn poured on the pastoral fantasy. 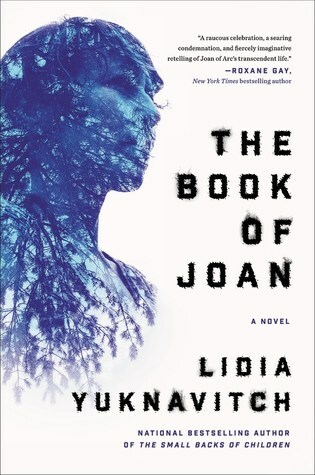 Which is fine—no every subgenre pleases every reader, blah blah—but (as people will) the pastoral novel was derided as being not only twee but backward-looking, especially compared to the Cool New Cyberpunk, which was all about the edge of the future. Anyway, for whatever reasons, pastoral fantasies largely went out of fashion, at least I hadn’t seen any until this month when two came out within days of each other. They contained a lot of similar elements, they were not set in an idyllic England, and they are very, very not twee. These are Crimson Bound, by Rosamund Hodge, and Uprooted by Naomi Novik. Before I talk about them, I want to address what I think pastoral fantasy is. This is an old form that resurfaces every few generations, in art, poetry, and fairy tales. It’s not always twee or cute, though there is an emphasis on natural beauties. But pastoral fantasy can explore beauty that is dangerous, inspiring but unsettling, powerful and even subversive because it has not been neatly clipped into box hedges, cemented over, and civilized into an urban pretense of order. Pastoral fantasy is not grimdark, which emphasizes the ugly and grinds down the dispossessed; it permits the tangle of the forest to get its roots and leaves into the urban walls and streets. Pastoral fantasy can be dark and dangerous but also full of beauty, hope, and tenderness: you can die in the same wilderness you go to experience peace, beauty, and calm. Alone in nature, you become aware that you are not the most powerful force there. I think that that is the most important distinction of pastoral fantasy: that humans are not the most powerful force. 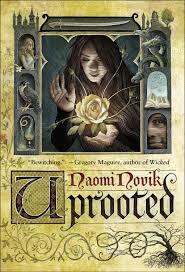 Neither of these two new novels takes place in fantasy England: Uprooted is set in a semblance of eastern Europe, and Crimson Bound in a fairy tale France circa the seventeenth century—which was a time of dynamic change. In both, the woods play a fundamental role—a threatening, dangerous, horrific role. Some of the most evocative writing in both books is about the forest and its dangerous nature. Erec led them through the Chateau, and it was almost the forest. Bleeding through the marble hallways, Rachelle saw labyrinthine paths between trees whose branches wove together overhead until they seemed like a single plant. Birds called with warbling, half-human voices. The wind dug its fingers into her hair, burned at her eyes. There was a falling tree stretching across the space, a giant, its trunk taller across than I was. Its fall had opened up this clearing, and in the middle of it, a new tree had sprung up to take its place. But not the same kind of tree. All the other trees I’d seen in the Wood had been familiar kinds, despite their stained bark and the twisted unnatural angles of their branches: oaks and black birch, and tall pines. But this was no kind of tree I had ever seen. It was already larger around than the circle my arms could make, even though the giant tree couldn’t have fallen very long ago. It had smooth gray bark over a strangely knotted trunk, with long branches in even circles around it, starting high up the trunk like a larch. its branches weren’t bare with winter, but carried a host of dried-up silvery leaves that rustled in the wind, a noise that seem to come from somewhere else, as though there were people just out of sight speak softly together. 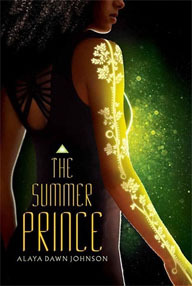 I’d say both books are New Adult or above; both are centered around seventeen-year-old girls who gain terrific powers, tackle adult relationships, and fight their way against terrible odds. 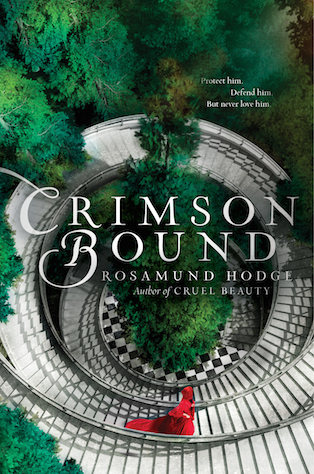 Uprooted is pastoral fantasy but also horror, and Crimson Bound, while not horror, is more of a dark fantasy; while it doesn’t have the Die Hard body count of Uprooted, it is no slouch in dealing with duels and death. And in both the woods are compellingly dangerous. In spite of these similar elements, they are very different books. To read one is not at all to have read the other. 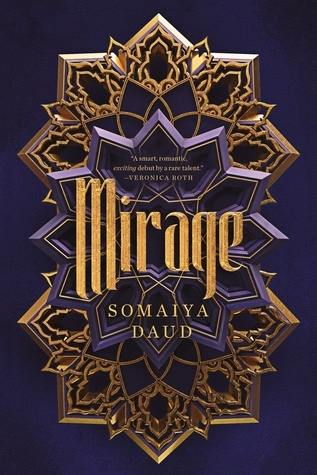 I talk about them more specifically on Goodreads here and here; though they head in different directions (and I’m not getting more specific lest I tread into spoiler territory), there is one important element they share: their exploration of female emotional growth, and agency. These heroines are not looking backward, nor are the thematic elements of their stories. They are playing out, in entertaining format, what life will be like for young women moving into positions of authority. That includes the cost of moral and ethical choices, and the inexorable ramifications of decisions made when you have the power to effect others’ lives. Registration for Sirens increases to $205 on July 6. Beat the deadline and save that money for books! The price of tickets to the pre-conference Sirens Supper and for the shuttle from Portland International Airport won’t go up on July 6, but about half of the tickets for the Sirens Supper are already gone. You can find more information on the registration page. Books and Breakfast will be held on Friday, October 17, and Saturday, October 18. For those of you who are new to Sirens, this is where we invite you to bring your own breakfast and join us for informal chats about books before presentations begin in the morning. It’s perfectly okay to join in Books and Breakfast if you haven’t read any of the books, but if you’d like to come prepared, the schedule is listed below. This year, our reading list includes tales of hauntings and the haunted. Some of them are new, some of them were game-changing or controversial books, and some we just loved and wanted to share. One of Sirens’s chairs, Amy Tenbrink, is reading “hauntings and the haunted” books in preparation for October. Ghosts, specters, memories, visions, and other patterns show up across fantasy, horror, and non-genre fiction, and she keeps talking to us about them, so we thought she should talk to you, too! If you’d like to read along, there are discussions up for Dreaming in Cuban by Cristina García and Imaginary Girls by Nova Ren Suma, and the following books will be featured on the Sirens Goodreads Group in coming months. 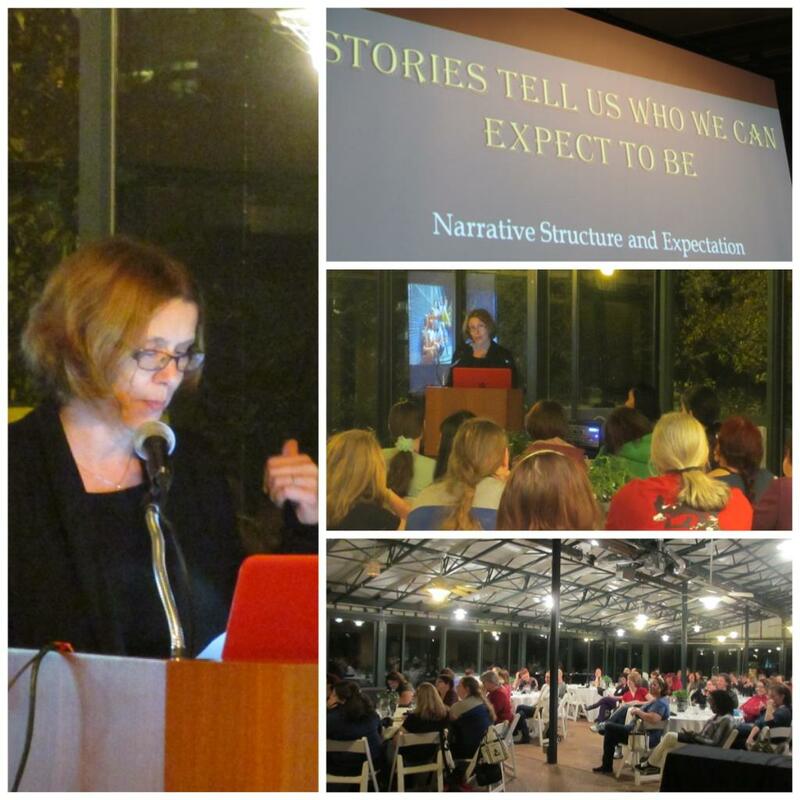 Narrate Conferences, Sirens’s 501(c)(3) presenting organization, will again be running a bookstore during the conference in 2014. It’s a great fundraiser that helps Sirens continue, and it means that we get to share a great selection of books by and about women in fantasy. We will have new books, of course, but a fun part of the bookstore is our used section. Readers can pick up copies of old, but perhaps out of print, favorites, or try new-to-them authors. 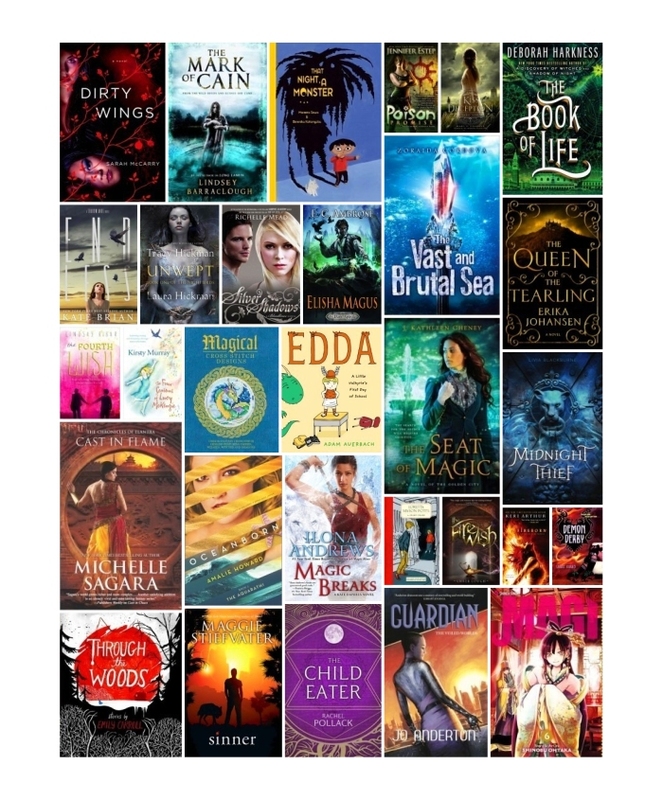 Our attendees, our friends, our families, and sometimes people we don’t even know send us fantasy books by or about women, and each of these books will cost our attendees only $5, with the proceeds going toward the conference. The last day we can visit the box before Sirens is September 19, so please be sure to ship books in plenty of time. If you use the US Postal Service and only ship books, you will be eligible for media mail rates. Each year, a significant amount of our Sirens expenses are funded through our auction of always interesting, sometimes fun, sometimes important items during the conference. In the past, we have auctioned off everything from reader kits to first editions, from editorial development letters to custom artwork. All of our auction items come from friends and attendees of Sirens, and if you’d like to donate an item or two, please contact Amy at (donate at sirensconference.org). 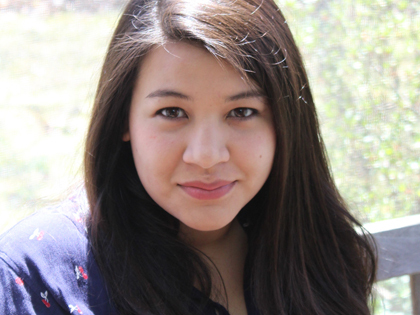 TU BOOKS has opened the review period for the New Visions Award, a path to publication for MG and YA books by authors of color writing speculative fiction, with entries due October 31. 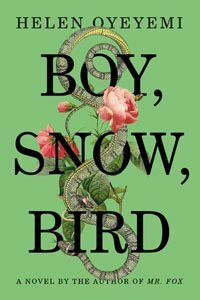 The Sunburst Award Society for Excellence in Canadian Literature of the Fantastic announced the shortlist for the 2014 Sunburst Award (including some great reads you just might have heard of). The 2014 Mythopoeic Awards finalists have been announced. The New Visions Award is accepting submissions until October 31. Andre Norton’s young adult novels. MIND MELD: When Genre Intersects Classical Literature and Myth. Erynn Kerwin has been accepted to present “Graphic Fantasy Femme Fair,” an interactive offering for sharing comics and other graphics-oriented work. If you would like to share your collection during the presentation, contact Erynn through the sign-up form. 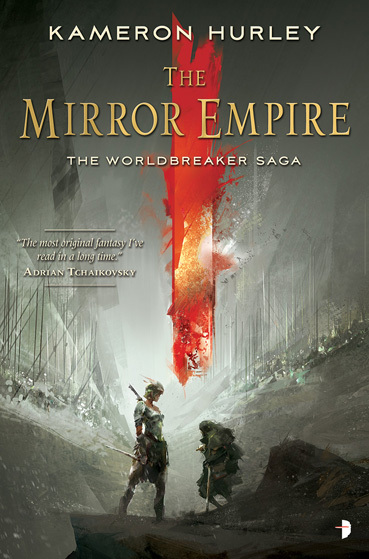 Do you have exciting book news or fantasy links to share? Send it to (help at sirensconference.org) and we’ll include it in the next newsletter. We appreciate your contributions! 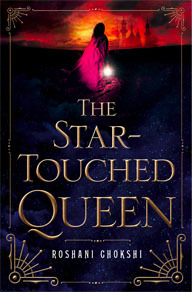 In the not-so-distant past, we had a review squad: volunteer readers reviewing books that they would recommend to others interested in women in fantasy. 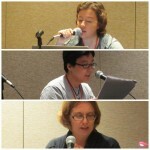 We’re pleased to bring back the review squad, and to feature their book reviews in the Sirens newsletter. If you think you could contribute a book review of at least 250 words sometime during the next year, please visit the volunteer system and on the third page, where you are offered different volunteer team choices, indicate that you’d like to be a book reviewer in the section that says “Please tell us of any specific position you are interested in.” Review squad volunteering is very flexible; we simply ask that you share information about books you’ve enjoyed. You can contribute once or on an ongoing basis, and on a schedule that works for you. If you’re with a publisher and are interested in providing review copies or similar, please contact us at (help at sirensconference.org). On to this month’s reviews! A silver hoop earring. The other black flip flop. A recipe for blueberry coffeecake. I’ve lost other more important things. My way in my early twenties. A belief in love after the demise of a relationship. Trust in a friend. 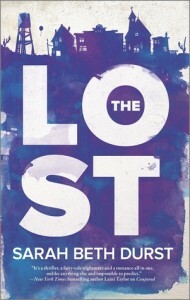 Sarah Beth Durst’s The Lost introduces us to the place where all of these things go when they are lost, including people who have lost their way physically, mentally and emotionally. Stuck in a rut professional, twenty-seven-year-old Lauren Chase, Durst’s narrator, is facing a reality at home she just doesn’t want to deal with. So, she does what we’ve all thought about doing at some point: getting in the car and just driving. She wants to get as far as she can on one tank of gas. It’s in the first two chapters Durst develops a claustrophobic, arid atmosphere which helps the reader to feel Lauren’s panic. When she finds herself on a stretch of road with no exits, no towns and a sandstorm, Durst’s power of imagery chokes the reader with alarm. Then we meet the strangest character of the whole book—and that’s saying a lot because there are some odd ones—the town of Lost. If the claustrophobic imagery of this book hits you in the gut, then Durst’s character development is a perfect knockout. She forces you to scrape the veneer of trash and dirt from her cast and begin to peer into the broken humanity in Lost. Beauty emerges in the brokenness. And Lauren Chase evolves from fugitive on the run from her mother’s illness to discovering that she’s “interesting.” And, of course, we get to meet “The Finder” of Lost, who just happens to be a mysterious, tattooed man who spouts passages from literature. Swoon! Apparitions includes nine tales threaded by the supernatural. 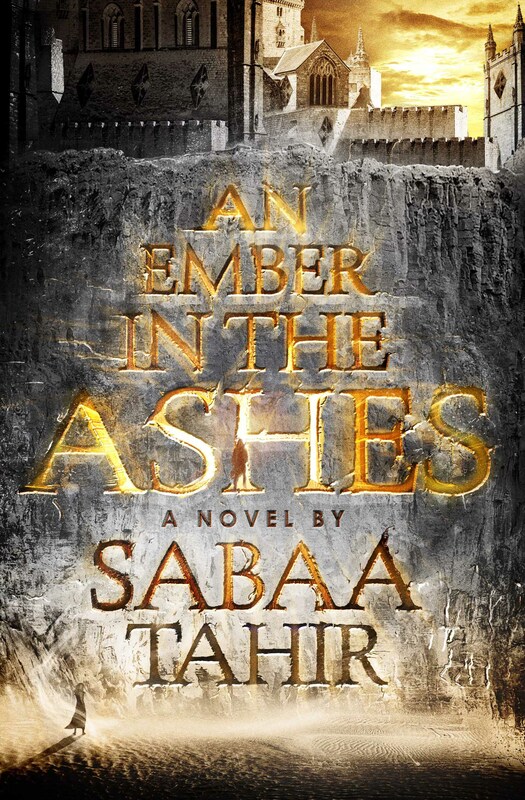 It could have been on the official Sirens reading list this year if not for publication timing, given its multifarious engagement with hauntings and situation of female characters. The one commonality amongst the stories, aside from their early nineteenth-century setting in Edo—now Tokyo—is shopkeeping. Each story features a shop’s family, employees, and the unspoken rules that bring individual and communal voices into conflict. The collection’s first two stories, “A Drowsing Dream of Shinjū” and “Cage of Shadows,” are perhaps the most straightforward; from there the tales become more complex. My favorite story of the set is “The ‘Oni’ of the Adachi House,” in which two women who have married into a shopkeeping family muse upon the mother-in-law’s unusual past in ways that encircle the shop’s fortunes yet stand somewhat apart from them, at once independent and dependent. Haikasoru, publisher of the English translation, has taken pains to include Masao Higashi’s learned yet pithy introduction to the original publication. Higashi asserts that Miyabe balances a Japanese spirit tradition with a slightly dizzying array of anglophone influences. 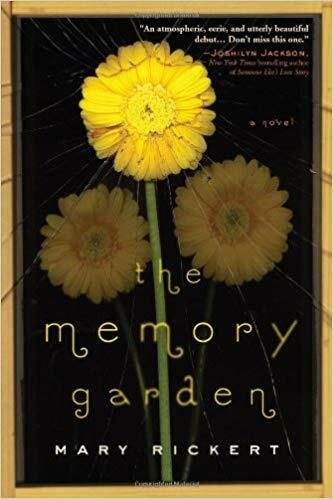 These stories may also be read as slice-of-life historical fiction, however, evocative of times and places when sane adults talk to dead relatives and when spirits (kami) are adjacent to everyday existence. If the reader doesn’t mind the stories’ absence of trains, motor vehicles, and telephones, then several of the stories could nearly be set today, with multiple ways to construe their interest in the nuances of social convention, socioeconomic barriers, and transgression. Huddleston’s translation reads smoothly for someone who (like me) doesn’t read Japanese. He expects the reader to be minimally familiar with Japanese culture, however, which means that some key terms are left unglossed, such as shinjū (double suicide), the annual Obon festival, woven floor mats called tatami, -cho to indicate a location, and the O- prefix on women’s names (not matched in the volume by -san or similar). One may look these things up easily via the internet, of course, and they help to maintain the sense of a slightly opaque setting. In a few places it seems that Huddleston or the editor has decided to take pity upon the unwary reader; after someone addresses a character named Yonesuke as “Mr. Rice,” for example, the narrative adds a bit clumsily, “using a nickname based on the first kanji of Yonesuke’s name” (p. 241). I’ve enjoyed Apparitions well enough to want more, and it turns out that Miyabe is not only prolific but relatively well translated into English. Available to me are Crossfire (1998, English trans. 2005) and Shadow Family = R.P.G. (2001, English trans. 2004), whose original publication dates bracket Apparitions neatly. Both have contemporary thriller settings from a US-inflected genre perspective, Crossfire with a paranormal bent and Shadow Family a police procedural. Three others—ICO: Castle in the Mist, The Book of Heroes, and Brave Story—are available from Haikasoru. Miyabe’s first translation into English, All She Was Worth, should also be mentioned. 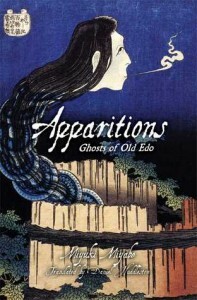 There is a single-volume treatment of Apparitions = Ayashi in manga form, Oedo Fushigi Hanashi Ayashi (お江戸ふしぎ噺 あやし, published 2010), but it appears not to be translated into English, whether officially or by fans. Post a comment of at least two sentences on our blog or LiveJournal by July 20, 2014, and tell us which June release you’re most excited about and why. We’ll choose one lucky winner from the participants and contact them for a mailing address, and that person will win a copy of the book they chose. (U.S. addresses only, please!) Current Sirens staff members are not eligible to win, though they may leave a comment, but all volunteers, attendees, and I-wish-I-could-attendees are welcome to tell us their favorites. Congratulations to Kate Larking, who picked Rain! Please email us at (help at sirensconference.org) to arrange for your book to be sent.